People do not realize it is not who trains you that matters, its that you meet the standards as required by the airline when you submit your air freight. Therefore whatever training you receive should cover what these requirements are. IATA are not a competent authority, they are a large, powerful group of collaborative airlines, otherwise known as an association. The IATA DGR is not a regulatory document, it is an operational document showing what the IATA Airlines have agreed upon as their minimum acceptable standards. Shippers do not need to be trained by an accredited IATA training organisation. 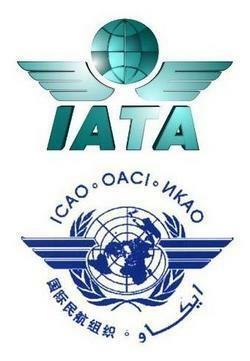 The IATA accreditation program is to ensure those wishing to use the IATA name and logo meet their standards. Shippers, Freight Forwarders and Airline personnel need to be trained to the IATA agreed standard if cargo is being submitted to an IATA associated airline. This does not mean the training organisation needs to be IATA Accredited. Most countries require dangerous goods training organisations to be approved by the competent authorities to the ICAO Technical Instruction standards. Most countries use as this as their legal standard if they are a United Nations signatory. AIRSAFE is approved by the Civil Aviation Safety Authority (CASA) of Australia (See policies and approvals) and registered on the ICAO training register. AIRSAFE was one of the original accredited IATA Training school (1992-2010) but has since dropped the accreditation due to excessive fees and controls imposed by IATA. AIRSAFE trains to IATA standards and provides quality training and support for all its customers. We believe AIRSAFE’s industry standing and reputation demonstrates the high quality of our product. Like an airline, being IATA does not necessarily make you good.